The construction industry would be severely impacted by ending freedom of movement after Brexit a new report published today by IPPR, the progressive policy think tank. 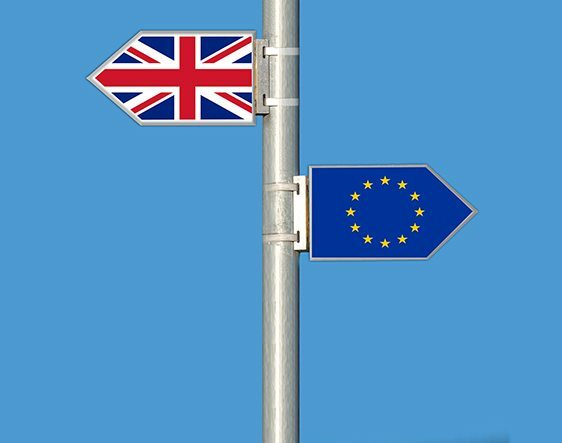 The report shows that industry has become increasingly reliant on EU migrants in order to meet skills and labour shortages. New IPPR modelling to forecast the potential impact of Brexit shows that construction is exceptionally vulnerable to changes in migration policy. If the migration system for non-EU migrants was replicated, just 7 percent of current EU-born employees in construction would have been eligible to come here for work. Even in the least-restrictive scenario modelled by IPPR two in three current EU-born employees working in the UK would have been ineligible. The report shows that growing skills shortages are already constraining the UK’s ability to build. Construction has the joint highest level of skills shortage vacancies of any industry, and two thirds of chartered surveyors say labour shortages are limiting building activity. Despite the skills gaps, employers in construction have failed to train enough workers; the proportion of employers in construction providing training is second lowest of any industry. The construction skills system is dysfunctional, and recent reforms to the apprenticeship system may lead to a decline in construction apprenticeships at a time when we need to see a huge increase. Productivity has been stagnant in construction; growing at just a fifth the rate of the rest of the economy as a whole 20 years. The industry has failed to embrace modern technology which could boost productivity and the industry accounts for just 0.4 percent of R&D investment. Construction faces a demographic time bomb, with a million workers – two in five of the workforce – set to retire in the next 20 years. Construction has become increasingly reliant on/ EU migrants to plug skills gaps. The proportion of EU migrants in construction increased five-fold between 2003 and 2016. The challenge is particularly acute for London where half of construction workers were born outside of the UK with a third born in the EU. IPPR therefore recommends: Government must ensure migration policy works for construction. Given the high level of vulnerability of construction to Brexit, Government should: Offer an immediate guarantee of the rights of existing EU nationals to remain and work in the UK to given them confidence and prevent them from leaving the UK. Ensure that the construction industry retains access to EU workers for a transitionary period of at least five years to give the industry time to adapt and boost training and productivity. Introduce a Trusted Sponsor scheme that allows employers to recruit EU-nationals in exchange for demonstrating good employment practice. A new sectoral institution – Construction UK – to drive a collective commitment to skills and productivity in the industry. A social partnership body with representation from employers and employees, Construction UK should design training content and forecast skills demand by publishing a National Construction Pipeline. As part of the construction ‘sector deal’, announced on Monday Government should set out a national mission to become a world leader in Modern Methods of Construction, with an ambitious 50/50 target, of at least 50 percent of homes built by 2022 to have at least 50 percent of their value from off-site manufacturing. A skills strategy for construction: As part of the wider industrial strategy, Government and the industry must work together to transform the construction skills system. This should include a new Construction Productivity and Skills Levy to drive up employer investment, an apprenticeship target of 5 percent on all government construction contracts, and a Construction Institute of Technology based in London.